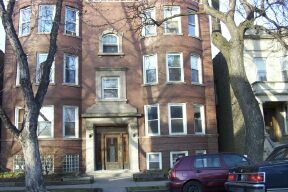 The Albany Consensus is a housing cooperative in Chicago's Logan Square neighborhood. We are located at 2423 - 2425 N Albany Ave.
Our block is the site of Chicago's first Home Zone. The cooperative was founded 30+ years ago and has flourished ever since. Please read this if you are inquiring about vacancies.